Therefore, total Bwin Poker Rakeback for RakeAdvisory players goes up to 50%. To correctly set up your new Bwin account you must uninstall any existing Bwin software and clear cookies. Check the browser icons for more details. Click the "Download Now" button to start. You'll be taken to Bwin website to download the poker software and create your new Bwin account. Please send us your Bwin Username you registered at previous step. Bwin Poker is the second biggest brand of the merged PartyPoker Network. Bwin is one of the most famous gaming operator, with global business covering online poker, sports betting or casino segments. The poker subsidiary is handled by GVC Services Limited, which is a company registered in Gibraltar. It is important to mention that even though may be less popular than it’s sister brand PartyPoker, Bwin has successfully managed to upgrade its rewards programme and bonuses which are offered while playing cash games with no Bwin Poker Bonus Code required. Players who register at Bwin via RakeAdvisory will have the chance to earn up to 50% Bwin Poker rakeback, on top of other exciting promotions. The exact player benefits will be detailed into our Bwin Poker Review. According to our Bwin Poker review, the European poker site is at least as competitive as PartyPoker after upgrading its VIP system. While they are sharing the same player pool, there are some differences between the two European poker brands. Below you can see the main pros and cons you need to assess before registering your account at Bwin. RakeAdvisory offers additional rakeback through our exclusive monthly rake chase. Cash prizes are ranging from 10$ to 5,000$ and count for up to 10% extra rakeback. Players need to claim the cash prizes in 30 days after the end of the month, otherwise all additional rakeback will not be awarded. 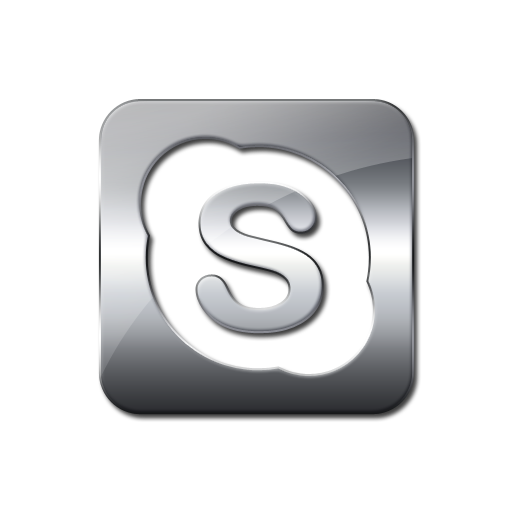 Eligible players should contact us on skype: ID rakeadvisory to redeem their prizes. Check the table below to see the minimum rake requirements for each level of the rake chase. â€‹PartyPoker and Bwin management have decided to stop all running rake races until futher notice. Our players will continue to earn up to 10% extra rakeback through our exclusive rake chase. Perhaps for grinders worldwide, the most important element of our Bwin Poker review is the cashback part so we will focus on showing you all details below for the upgraded VIP system. The upgraded rewards system will also increase your overall Bwin Poker rakeback deal. Check the Bwin VIP system overview below. To participate into the VIP system and earn cashback, you need to opt in the rewards programme for the first time. You can find it from your Bwin account into the promotions page. To earn more cashback, you have to earn points while playing. For every €1 paid in rake, you will receive 2 points. Every VIP level has specific thresholds and points requirements. If you level up, you will get a better rakeback rate and therefore more cashback. Rakeback is paid weekly, every Monday, into your Bwin account. Besides the rewards themselves, the Weekly Rewards tickets also gives players the chance to earn even more prizes. In the table below you can see the payouts for the free poker tournament. Get more Bwin Poker rakeback by playing into the casual cash games where you can earn extra bonuses. New players can win additional prizes by playing cash games at Bwin. The new Bwin Poker Bonus is released every 3 days or weekly while grinding Texas Holdem and Omaha games, without needing to use any Bwin Poker Bonus Code. Bwin Bonus can go up to €100 but the size of the bonus depends on how much you have played at Bwin. This is another great source for earning Bwin Poker rakeback. To be able to earn these Bwin Bonuses which are suitable for any type of player you have to join the special Casual Cash Games tables, which can be identified in the lobby by their unique icon format. Check the details for the Bwin Bonuses below to see the frequency and amount you can win. A downside of Bwin has always been that it neglected regular players and hasn’t offered great rakeback deals for grinders. On the other side, they have always focused on recreational players in comparison with PartyPoker, whose main focus are high volume rake grinders. Millions Online is perhaps one of the biggest online poker tournaments ever played with $20,000,000 GTD prizes. It is returning in 2018 after the big success it had the previous year when 1,027 players have shared the enourmous prize pool. The MTT will take place between the 25th November and 5th of December. First place will be rewarded with 2,500,000$. This is absolutely fabulous for MTT lovers. Sit and Go JackPots are three handed tournaments where you join with an initial buy-in and a random multiplier determines the size of the winning prize before any card is dealt. The initial buy-in is only 10$ but if you get lucky you can win insane prizes. For instance, you can join with only 10$ and win a $5,300 MILLIONS Online seat. Only first place is paid. Check the below table to see the potential winnings and at which frequency might occur. Each category will have different prize pool for the leaderboard. Top 5 places per each category are paid and players can win up to $250 ticket prize. Last but not the least, Daily Centrolls promotion runs from Monday to Sunday at 20:00 CET with total prize pool up to $250 in the weekend. Players can win tournament tickets worth $1,000 each week. 1st place will receive a $11 tournament ticket which can be used to build its bankroll for MTTs. Bwin uses the same rake calculation method as PartyPoker, which is called Weighted Contributed Rake formula. It is one of the most classical and traditional rake methods, where a certain amount is charged for every pot. The rake percentage is ranging from 2.5% up to 5% while rake cap values fluctuate between 1$ and 5$. Due to the fact that the rake percentage is not fixed and rake is taken per pot, players can even pay only 2.5% rake at Bwin, one of the lowest values in online poker. The same conditions apply for Heads Up tables as well. Rake is charged differently for MTTs and SNGs. While the average rake is 10%, you have to enter the lobby and manually check for each type of tournament or Sit & Go how much rake you have to pay. According to Pokerscout, one of the most trusted websites tracking online poker traffic, PartyPoker is currently the biggest European Poker Network and in top 5 global poker networks. The figures are really impressive, thousands of players choosing PartyPoker each day from all the industry giants. At least 1250 cash games players can be found at Bwin at almost any hour, while at peak hours, the figures get doubled. According to our Bwin Poker review, there are plenty of players who also choose tournaments or Sit & Go. Nevertheless, Texas Holdem and Omaha cash games remain very popular at PartyPoker Network. These games are available in several formats: no limit, pot limit and fixed limit. Most popular games are No Limit Holdem and Pot Limit Omaha cash games. NLHE tables are available from $0.01/$0.02 up to $100/$200. Heads Up games are offered starting with NL50 up to NL20k, while short handed tables begin with NL2 and go up to NL20k. Full Ring cash games are less popular, but you can still find some action beginning with NL2 up to NL5K. PLO games are offered starting from PLO2 up to PLO20k. However, it is important to mention that only Heads Up and 6-max tables are available. There is no action at full ring games. Sit and Go tables are available in several formats and for several buy-ins, starting from $1.10 up to $1,050. You can play them HU, 6-max, 9-max or even in 10-max format. Besides these ones, there are also Sit&Go Jackpot Tournaments which are played three handed and have been detailed in Bwin Poker Promotions. Bwin is an European poker room that cares about recreational players. Therefore, you will find here plenty of freerolls which can help amateurs build their free poker bankroll. Besides them, regular MTTs are also available with guaranteed prizes and buy-ins up to $5,300. PartyPoker Network is a good place to grind MTTs due to its excellent traffic, being the biggest European poker network. Satellites to Live events are also offered by Bwin. Check Bwin Poker promotions into your account to keep updated to the latest events. During the years, Bwin has developed a very good reputation into the industry, due to its safe and fast processing transactions. According to our Bwin Poker Review, the european brand offers direct cashier to its players who can deposit and withdraw using the most popular payment methods. Minimum deposit is 10€ while minimum amount required to process cashouts depends on the chosen payment method. It is important to mention that withdrawals are processed fast and Bwin does not charge any cashout fees except the ones charged by international e-wallets such as Neteller or Skrill. Below you can see the details regarding deposits and withdrawals. Bwin shares the same software with PartyPoker. Without getting too much into specifics, we can notice that the software is user friendly and easily customizable to fit with any player's desires, being fast and responsive. The table design is simple and straightforward, making it easy to use even for recreational players who can enjoy their gambling patterns, but also for high volume rake grinders who can easily multitable. Bwin also offer very nice multitabling capacity for Nanonoko maniacs who want to play lots of tables simultaneously. There is an upper limit of 18 tablex max for Texas Holdem and Omaha cash games and 20 tables for MTTs. Using this feature together with the overwhelming traffic you cand find at PartyPoker Network, you should easily play like a maniac at several tables, which can be tiled. Another good thing about Bwin software is that it supports both poker trackers: Holdem Manager 2 and PokerTracker4. Thus, you can use your favorite HUD at the tables and exploit your weaker opponents who don't know to adapt to your moves. Last but not the least, it's important to mention that VPN is not required to use, because you can register from almost anywhere at Bwin, which has very few restricted countries, as you can see further into our Bwin Poker Review. â€‹We have not taken into account territories where online poker is not popular at all or very small countries. Players who already have an account and want to benefit from our up to 50% Bwin Poker Rakeback deal should contact us on skype: ID rakeadvisory or e-mail at [email protected] with their retag request. They need to send us their old poker account credentials (username/nickname, full name and e-mail used for registration). We will immediately initiate the retag process and will notify them after it has been done. Usually, players who have old accounts which have been inactive for more than 180 days can be retagged, but of course, every request will be analyzed and processed on an individual basis. There are also options for players who cannot open an account at Bwin or, for whatever reasons, cannot get their old accounts tagged to us. In this case, we advise them to register at PartyPoker, the other brand of the joint PartyPoker Network. They will have access to the same player pool, but being tracked with us will get the chance to get the impressive rakeback deals we provide and other player benefits.